An Arial View depicts the personal life story of Phyllis who was born and reared on a mill village in upstate South Carolina during the 1940s and 1950s. 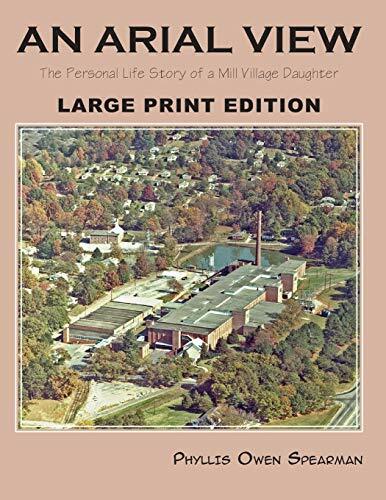 It recounts both thoughtful and humorous stories of her life on the mill village and the years after she moved away. It is a family history book that introduces Phyllis’s descendants and her readers to her great-grandfather and his challenging life as a Confederate soldier during the Civil War. It also touches on the lives of Phyllis's parents and grandparents and the formidable hardships they endured during the early twentieth century. Any proceeds from the sale of this book will go to charity.